Eighteen years ago, I was told that creative offices were a fad that would go away. Just after the dot com bust, it almost seemed like it would go away. However, creative office is the de rigueur, not the exception. Absorption and occupancy for creative office is rising; absorption and demand for traditional office is falling. So many owners with traditional offices are attempting a conversion to a “soft creative office”. In soft creative, many of the aspect of open and collaborative space planning are incorporated with exposition of the natural elements of the building, including exposed higher ceilings. 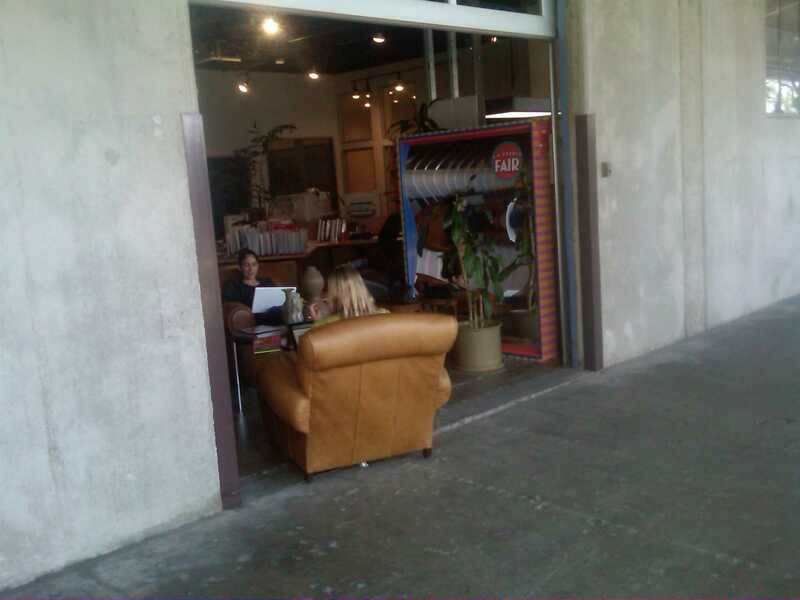 However, not all tenants have embraced “creative offices”. You may, in fact, alienate your more traditional tenants as you transition to a more informal, creative environment. 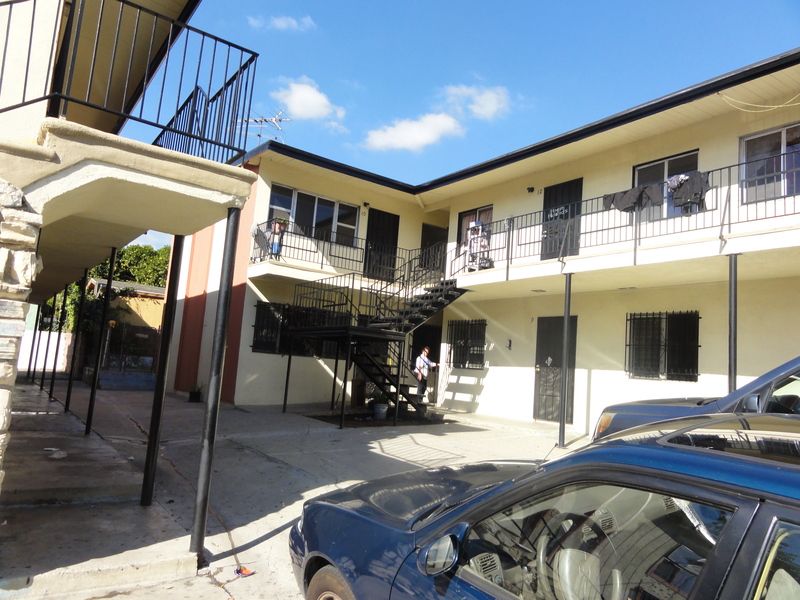 This problem is similar to the problems encountered when mixing medical and general office tenants. PMI Properties is in the process of transitioning a traditional office building in WLA into a soft creative office building. 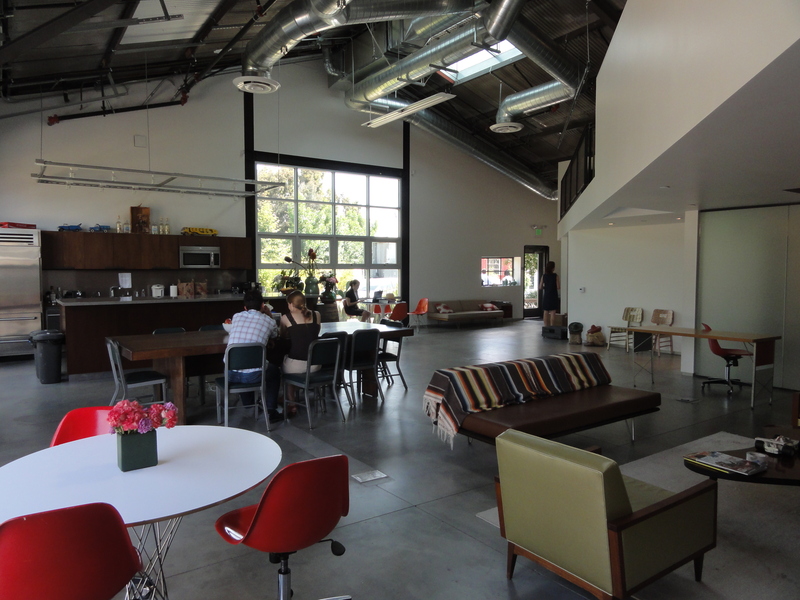 Creative tenants now occupy 70% of the space, and traditional tenants occupy the balance of the space. We have introduced creative design elements and furnishing into this formerly traditional office building. 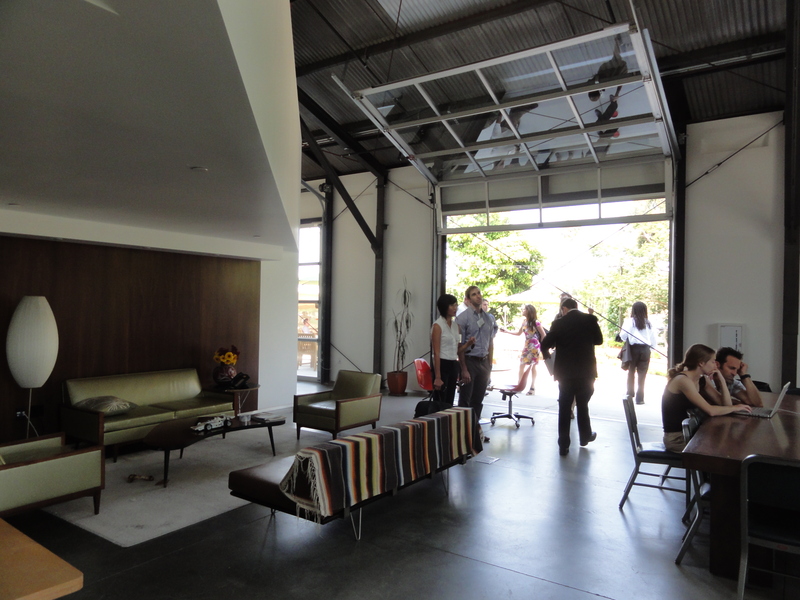 These elements, among others, include polished concrete or hardwood floors, and exposed steel beams. We replaced the acoustical ceilings with drywall and the 2 x 4 foot parabolic lighting with recessed lights or indirect pendants. We elected not to go with an exposed ceiling so as to appeal to a wider variety of tenant and avoid problems with fireproofing the lid. “Does PMI really think that the newly-installed ‘swimsuits optional’ artwork opposite the restrooms on our floor are appropriate in a business office environment? While it does somewhat correlate with the ‘beach’ theme of the other artwork on our floor, it certainly projects a rather unprofessional image, and surprises me that [name deleted] would choose it and PMI would install it. It seems more like something that the boys in 204 might put up in their suite to go along with their ping pong table and office beagles. So my suggestion is to prepare to lose some tenants when transitioning an office from traditional to creative or introduce elements that both can live with. However, in the later case, you may end up with something that truly satisfies nobody. The third space (or place), is a term used in the concept of community building to refer to social surroundings separate from the two usual social environments of the home and the workplace. In his influential book, The Great Good Place, Ray Oldenburg (1989, 1991) argues that third spaces are important for civil society, democracy, civic engagement and establishing feelings of a sense of place. In an office, the third space can be defined as the place between the workstations or offices and formal meeting rooms. The third space is used for more casual work or meetings. The environment is more collaborative and less formal. Furniture resembles a hotel lobby or cafe. 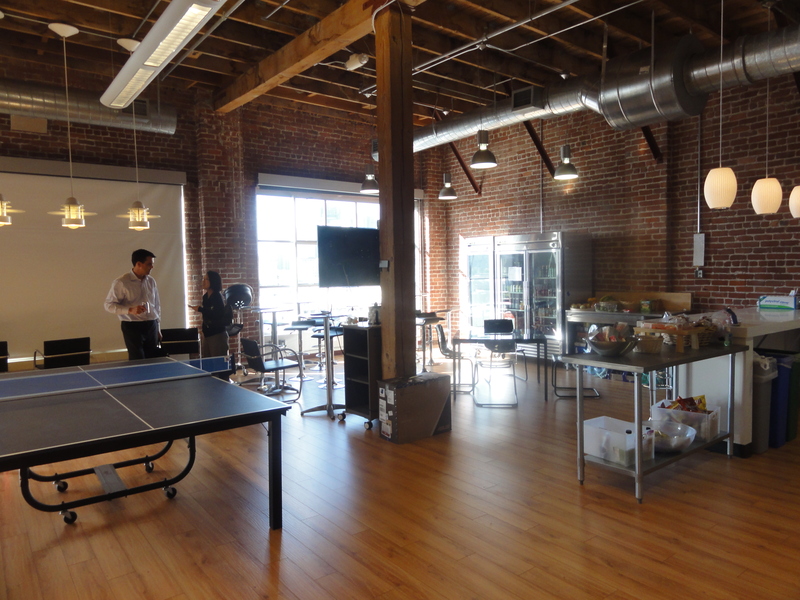 Expanded kitchens and break rooms can serve as the third space in the office environment. Gen Y grew up studying in coffee shops and cafes instead of at libraries or desks. 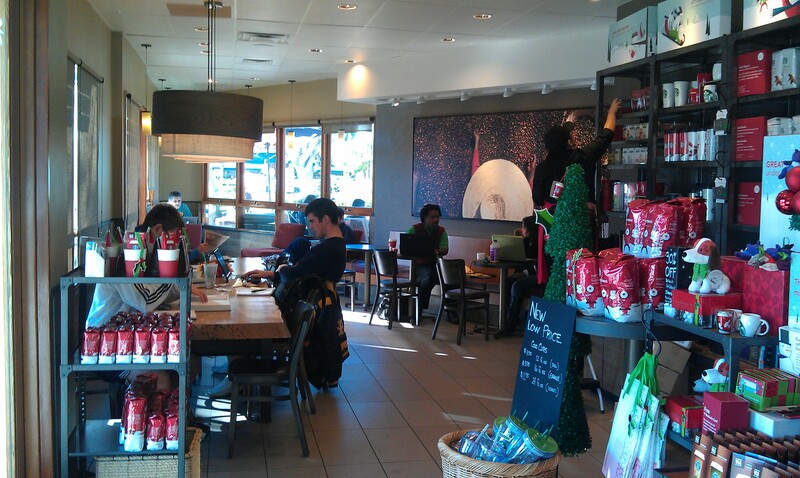 As a result, some Gen Y prefer to work in more informal settings that resemble coffee shops. 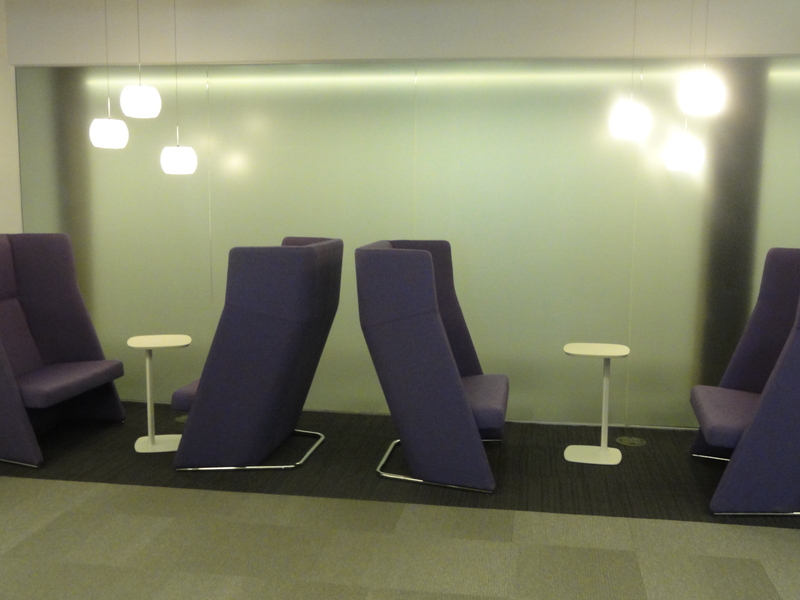 They also prefer to collaborate on couches rather than around a formal meeting table. Gen Y grew up not tethered to the personal computer, Gen Y grew up not tethered to the personal desktop computer. They can now work away from their desks using laptops. They can exercise their freedom even more by using their tablets and smartphones as well. The third space allows for a change of pace and a change of scenery. 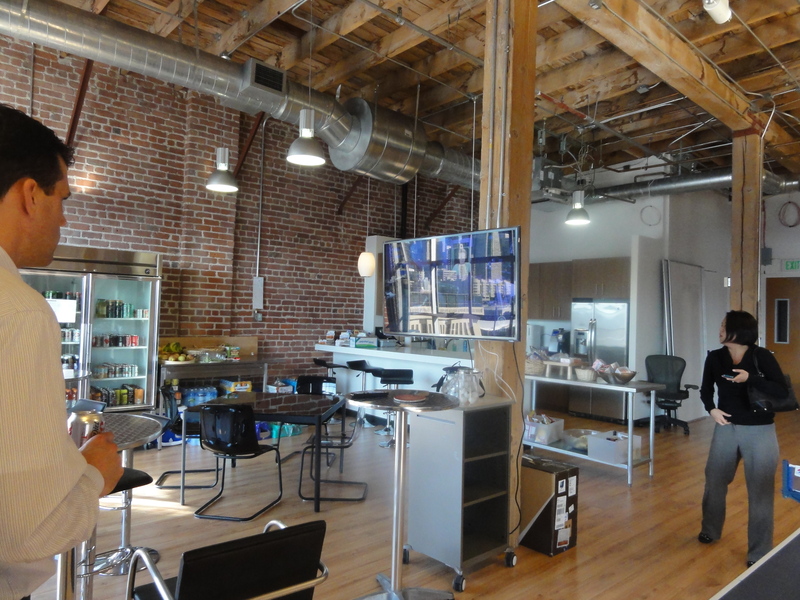 In this 8,100 square foot office suite renovation at 2644 30th Street in Santa Monica, adjacent to the Santa Monica Business Park, PMI has configured the spec suite with the third space in mind. The most common “third space” is the kitchen area. Because of this, PMI aims to build large and inviting kitchen break areas that resemble cafes. PMI integrates an adjacent area with similar flooring and lighting that can expand that kitchen into a casual work area, or another third space. 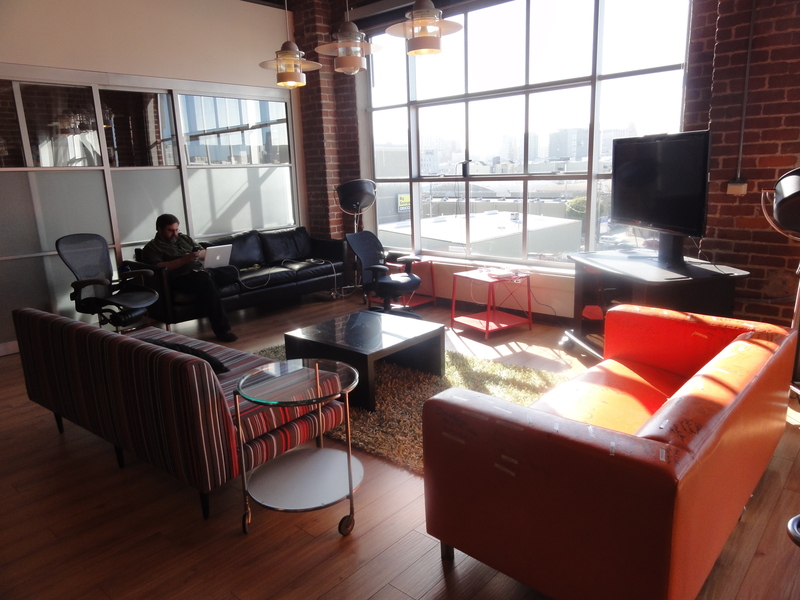 Tech companies tend to put these third spaces in the most desirable part of the office space. 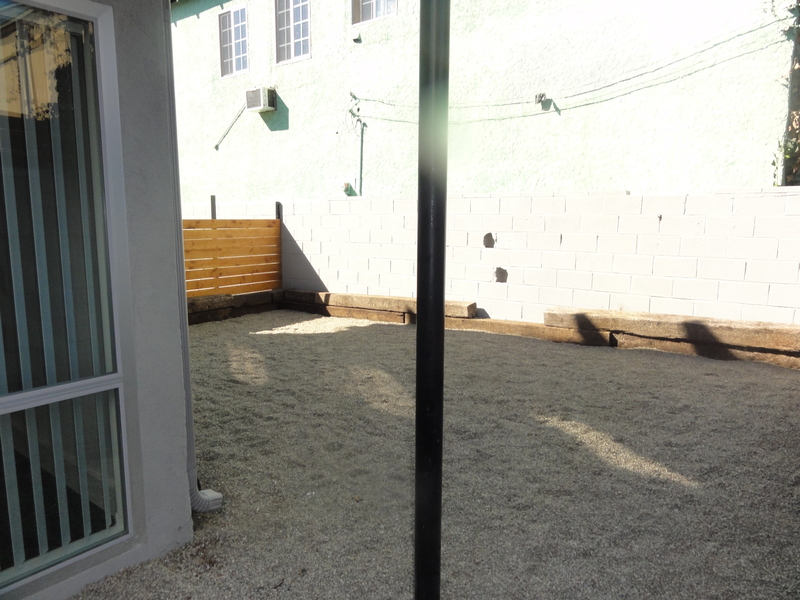 In this case, the area near the outdoor patio would make an excellent additional casual work area. 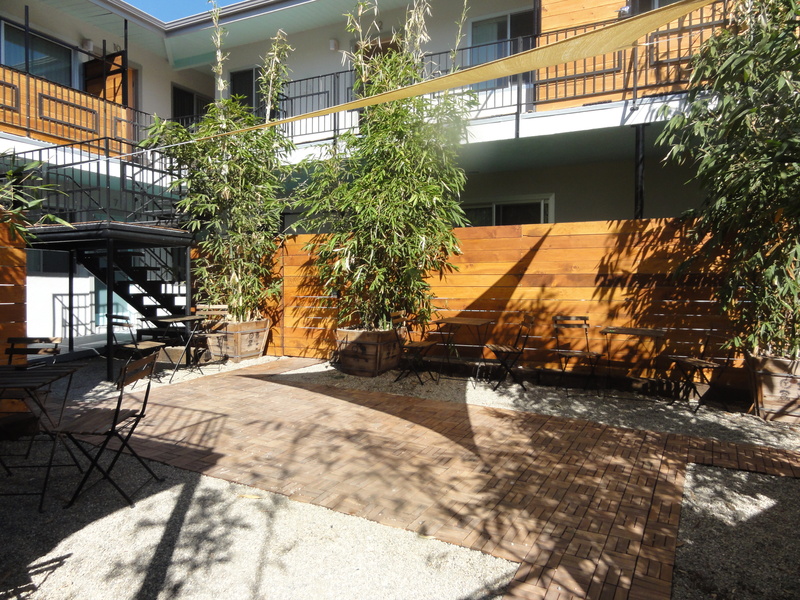 With the great weather in Los Angeles, outdoor spaces also make great third space. In a survey of ten creative office brokers in Los Angeles, 80% of them felt that outdoor space, if available, should be pre-built into the infrastructure of the space. Growing companies also use third spaces as potential areas to temporarily expand formal work areas as the company scales. 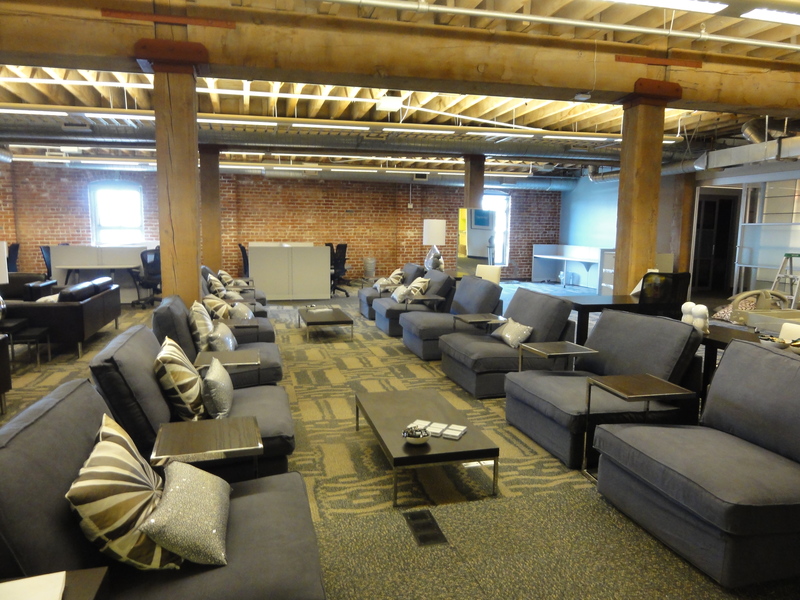 PMI’s kitchen and break area for Ustream in San Francisco. 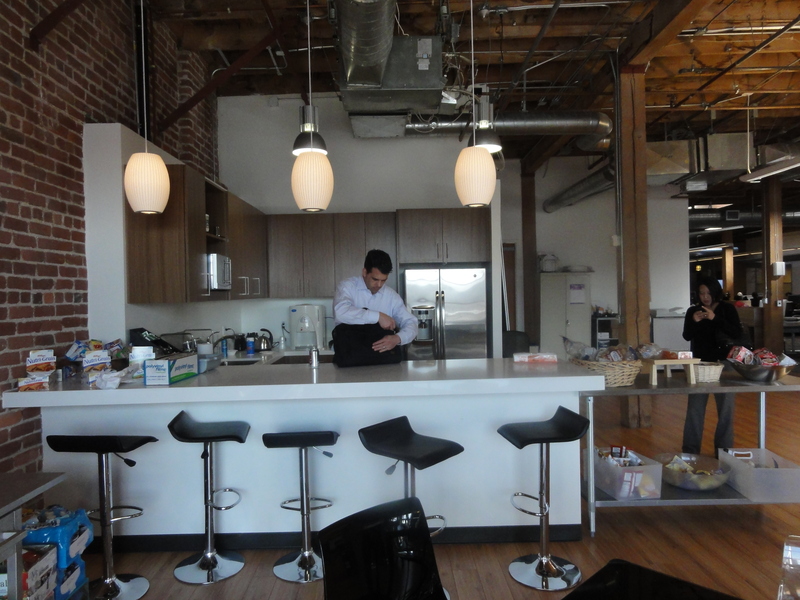 Ustream’s kitchen at 410 Townsend, San Francisco. 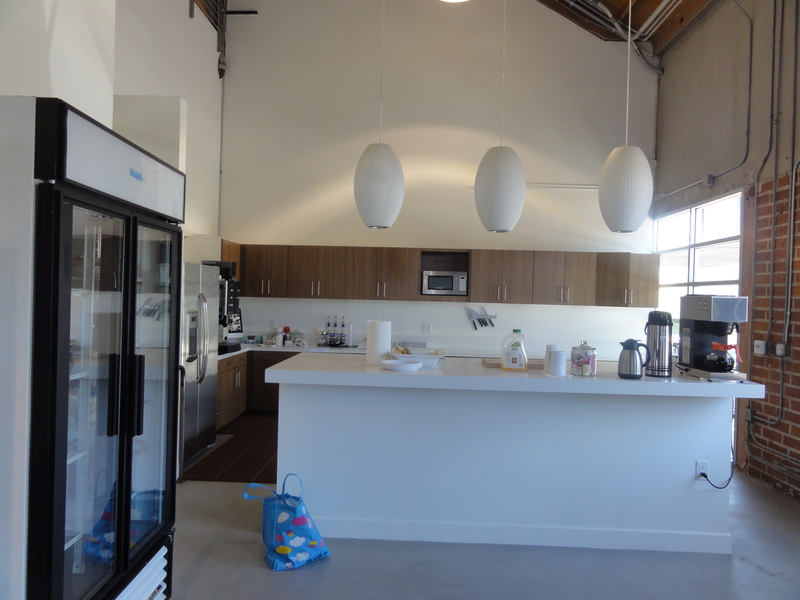 Ustream’s kitchen and break area overflows into an adjacent area to form a third space. 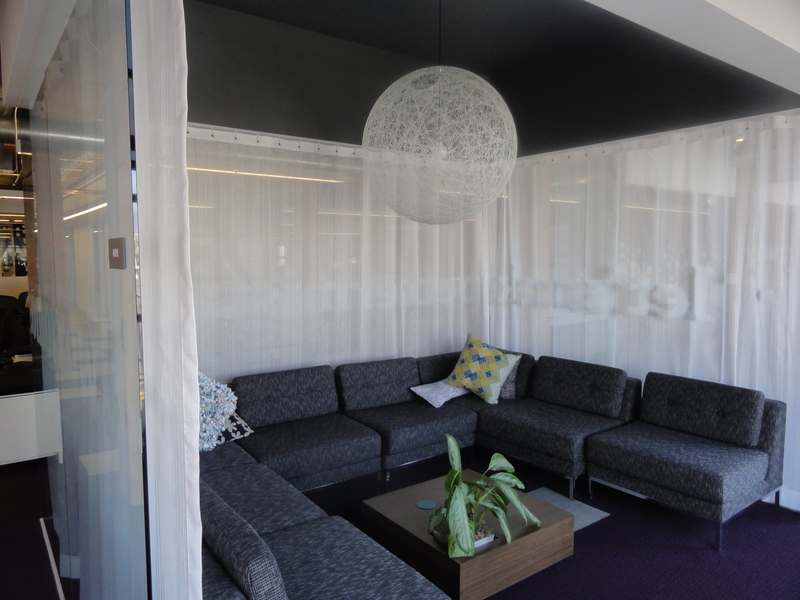 Ustream’s informal space next to the kitchen provides an excellent informal eating area. 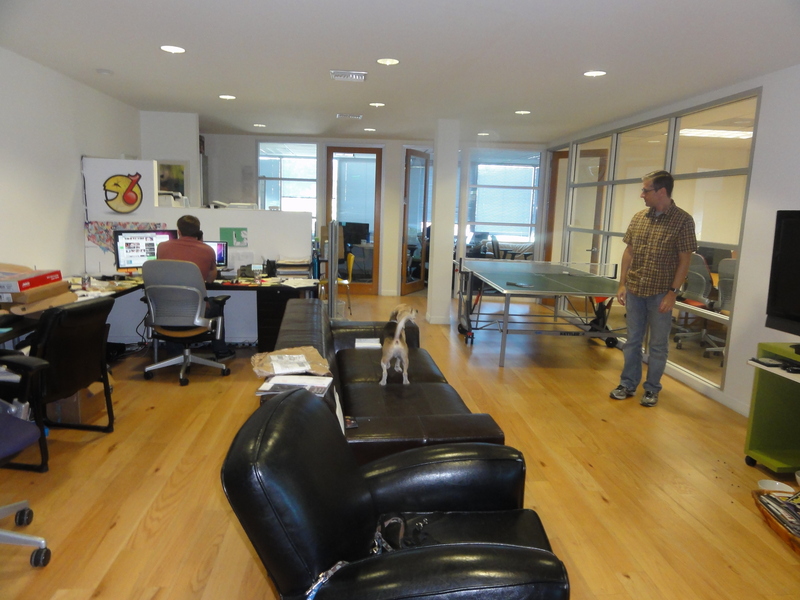 Ustream’s couches next to the kitchen are used as a casual work area. 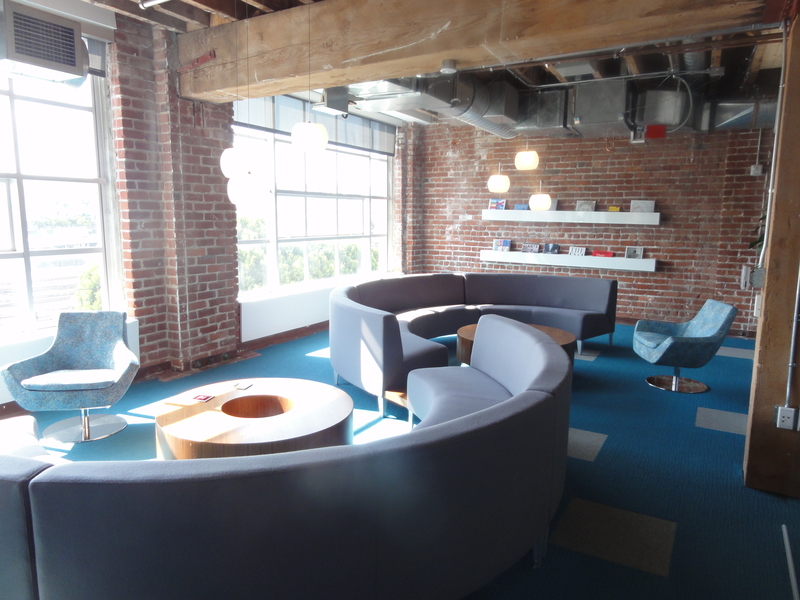 PMI’s casual work area for Yammer at 410 Townsend in SoMa. 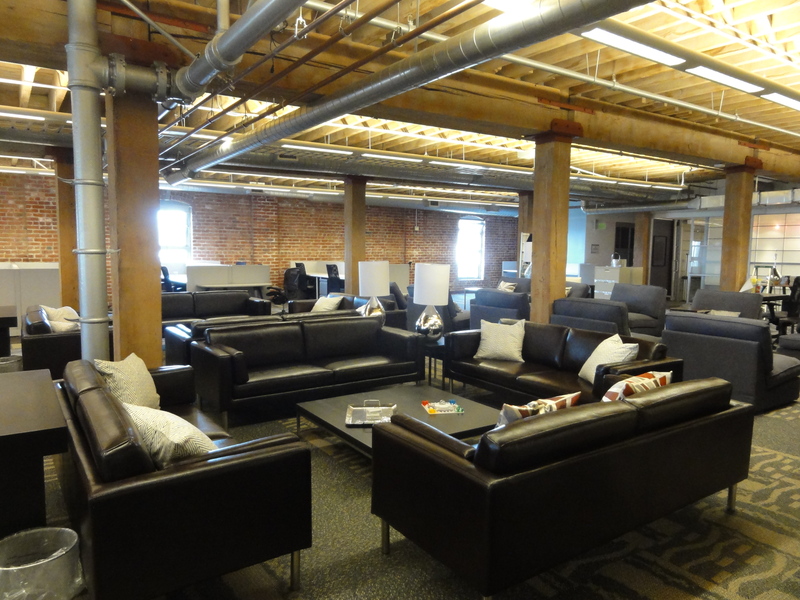 Rows of couches facing each other with side coffee tables form a more casual work area in Yammer’s suite in San Francisco. 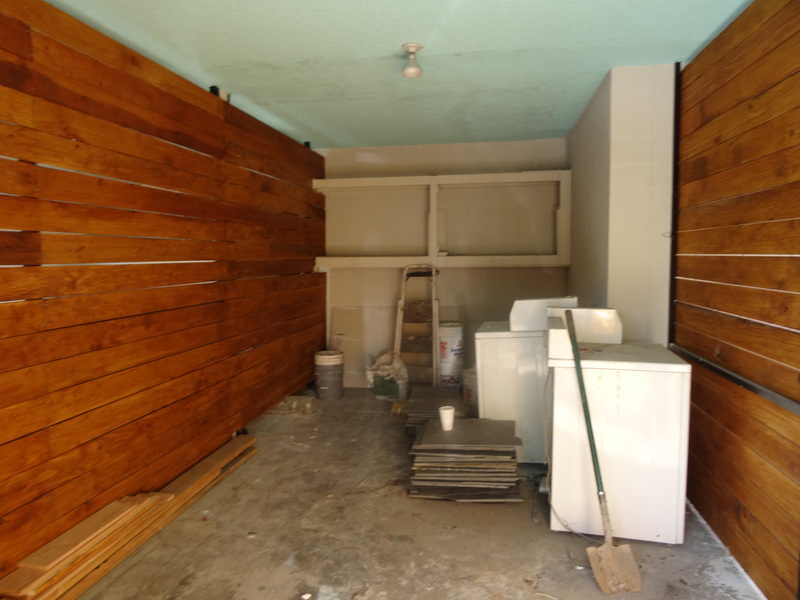 PMI’s third space work area at 4223 Glencoe in Marina Del Rey was created under a glass roll-up door, adjacent to the former loading dock. 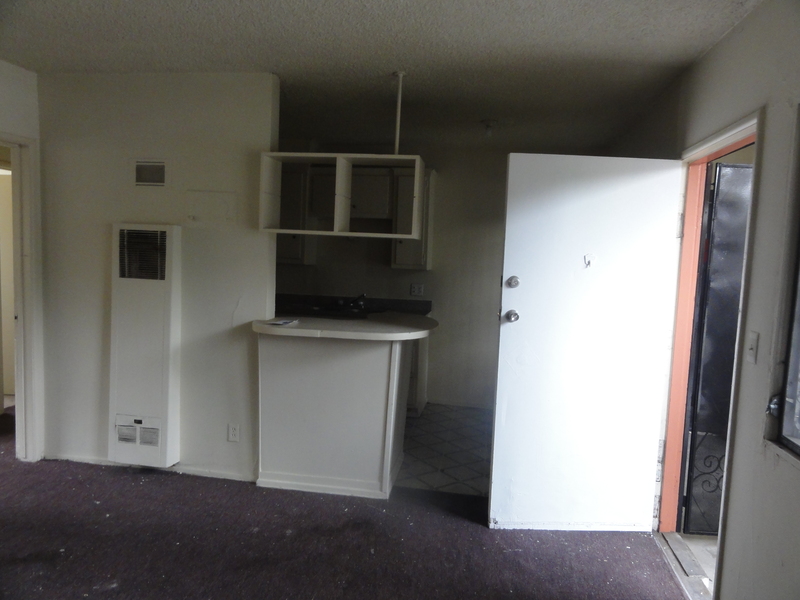 Another PMI blow out kitchen at 3525 Eastham in Culver City. 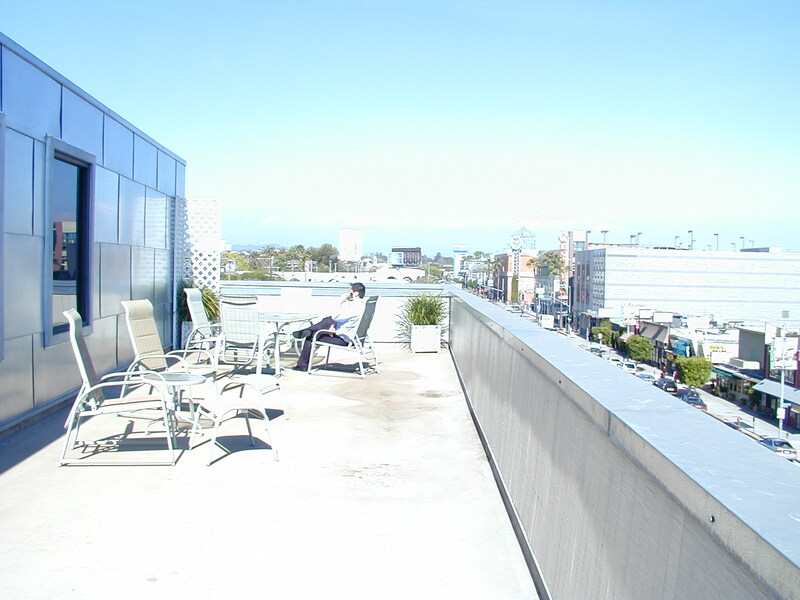 The private outdoor deck at PMI’s 10951 Pico building serves as another third space. 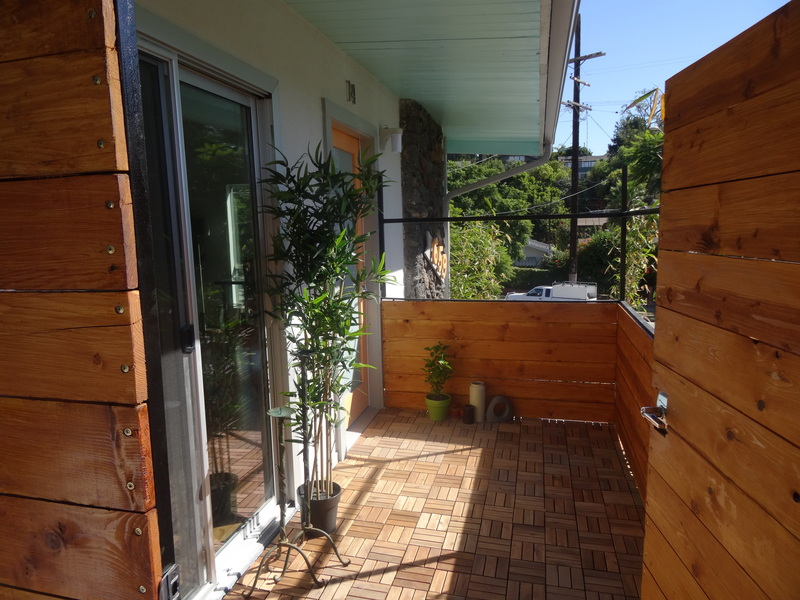 Outdoor decks and patio areas are great for third spaces. The area adjacent to a glass roll-up door makes an excellent area for a casual meeting area at 4223 Glencoe in Marina Del Rey. This casual area is apart of an expanded kitchen, which increases the third space even more. Designers are getting inventive in their creations of third space areas (410 Townsend, San Francisco). 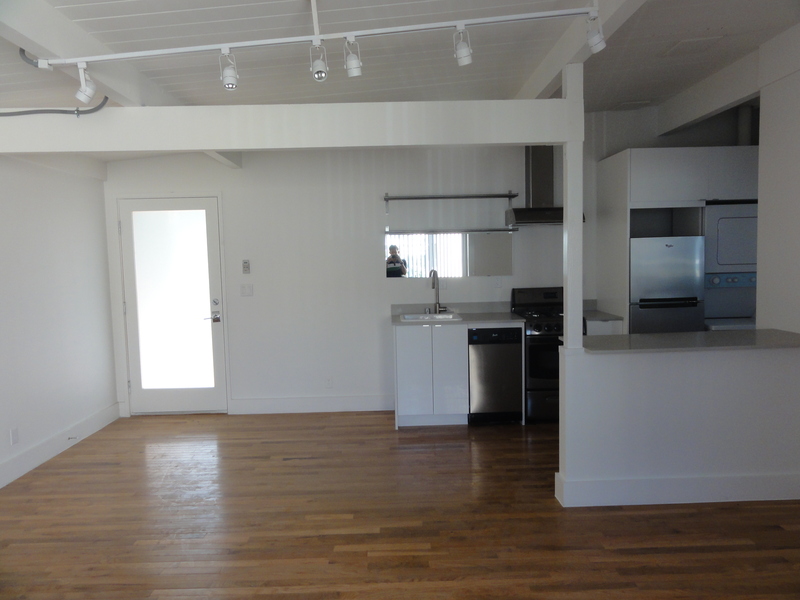 Additional third space at 410 Townsend in San Francisco. 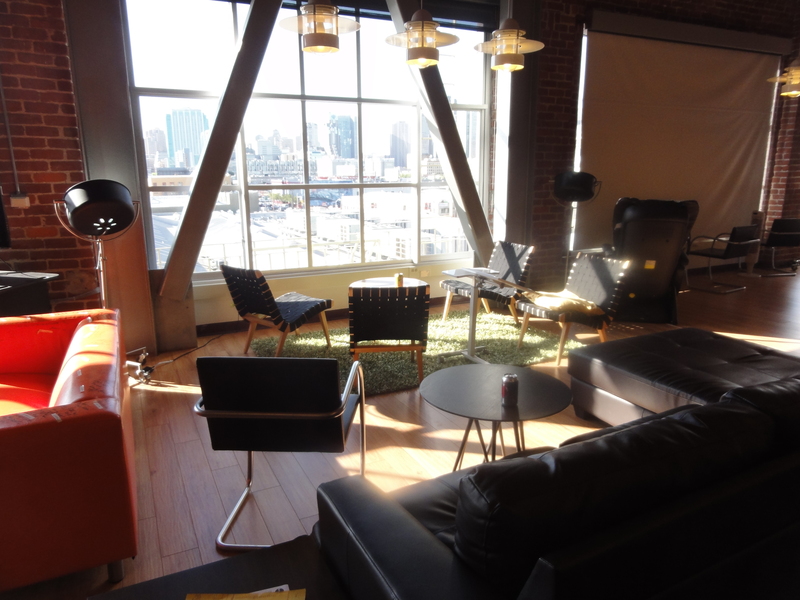 An informal meeting area as third space at 410 Townsend, San Francisco. This is actually Peet’s Coffee in Los Angeles. It’s getting hard to tell the difference between cafes and third spaces in offices (with the exception of the piles of coffee). To read more about third spaces, click here. It is no surprise that Los Angels start-ups cluster along the Silicon Beach from MDR to Manhattan Beach. Startups form a boot with the foot along the beach and shaft passing through Culver City, West Los Angeles, Beverly Hills, West Hollywood, Hollywood, Downtown and on to Pasadena. Santa Monica has the great concentration of start ups and constitutes the heel of the boot. 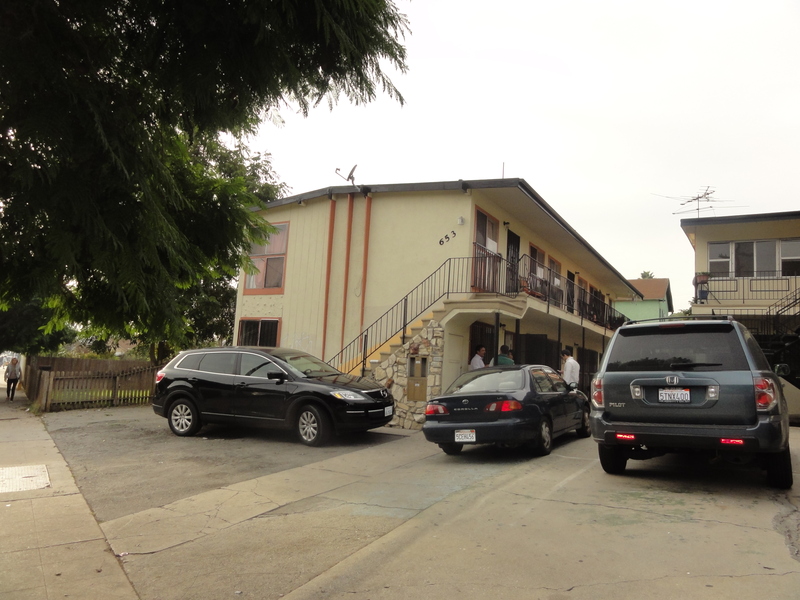 They are not in the Valley, Glendale, Burbank, South Los Angeles, Northeast Los Angeles or East Los Angeles. The prosperity of an area has been linked to breakout companies and technologies. The newly minted multimillionaires break off and start new companies. The company itself expands and also attracts other similar companies. Snapchat may be Los Angeles’ first new break out company since MySpace and will greatly improve the ecosystem in Silicon Beach. Facebook offered Snapchat $3 billion. 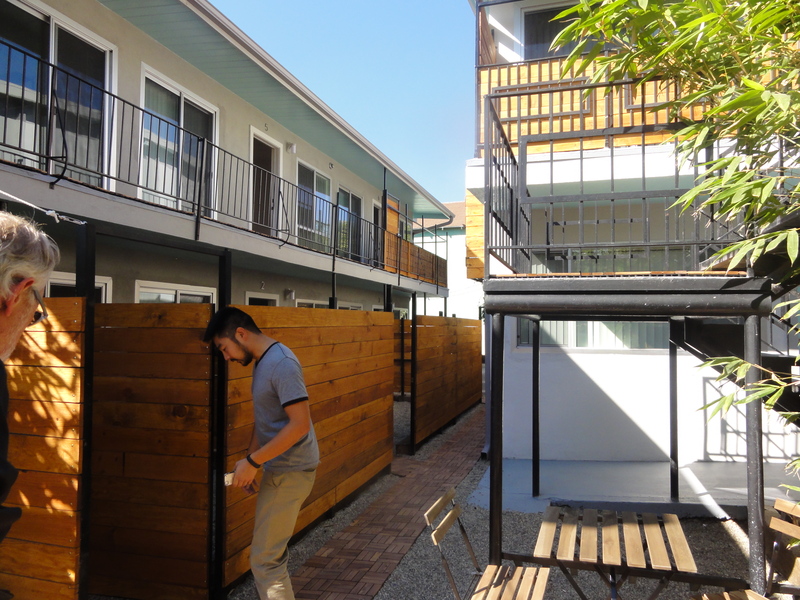 We took a 1960’s apartment building and renovated it into a hip new apartment for Millennials with the assistance of Adaptive Realty . 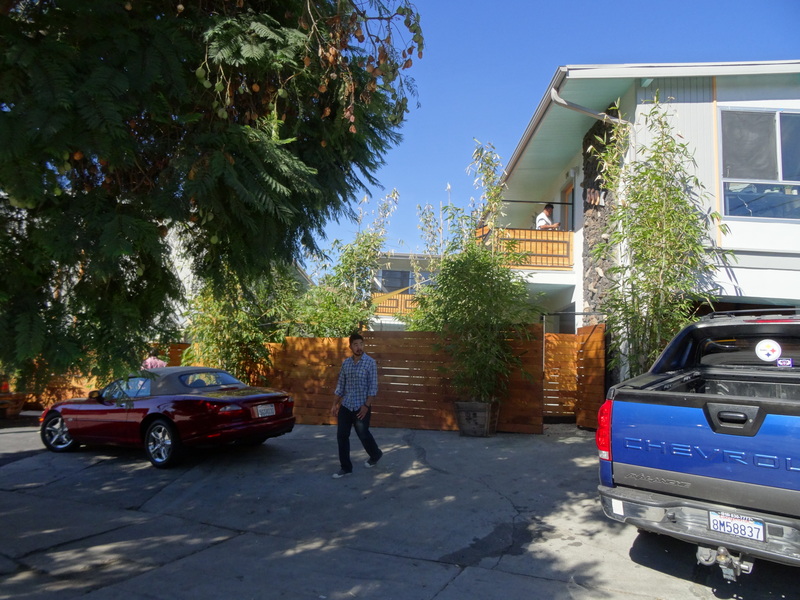 The goal was to re-imagine this 1960 apartment building and convert it into a creative multifamily property for the gentrification occurring now in the south part of Silver Lake. 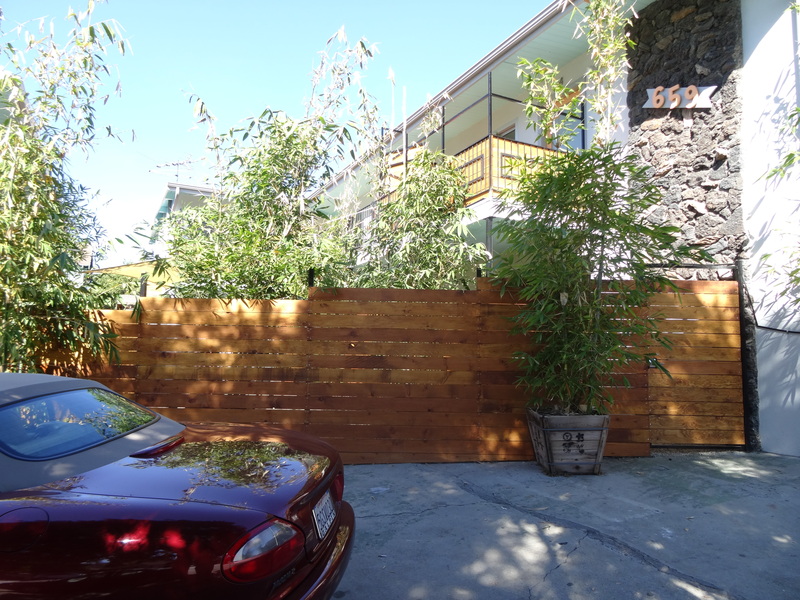 On the exterior, we added new paint, landscape, and fencing to create a new facade suggesting both a secure and new fun environment inside the gate. 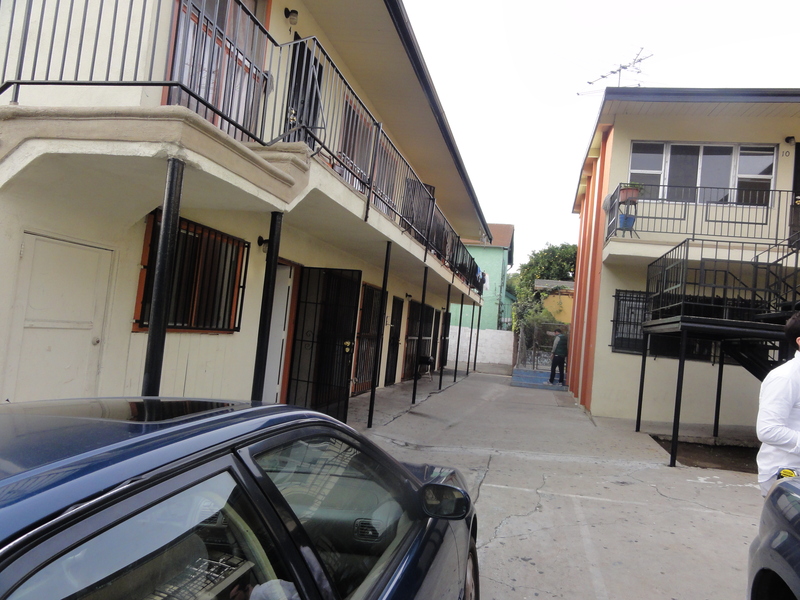 One reads the horizontal natural wood siding as the telltale of a renovated northeast Los Angeles housing project. 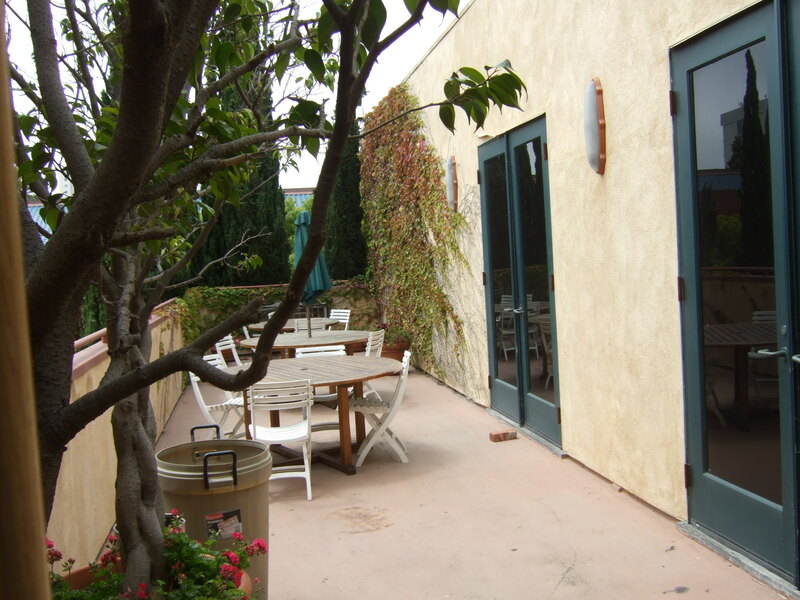 Below is the interior courtyard before renovation. The buildings formed a courtyard paved with asphalt. The catwalks made the courtyard look like a prison yard. 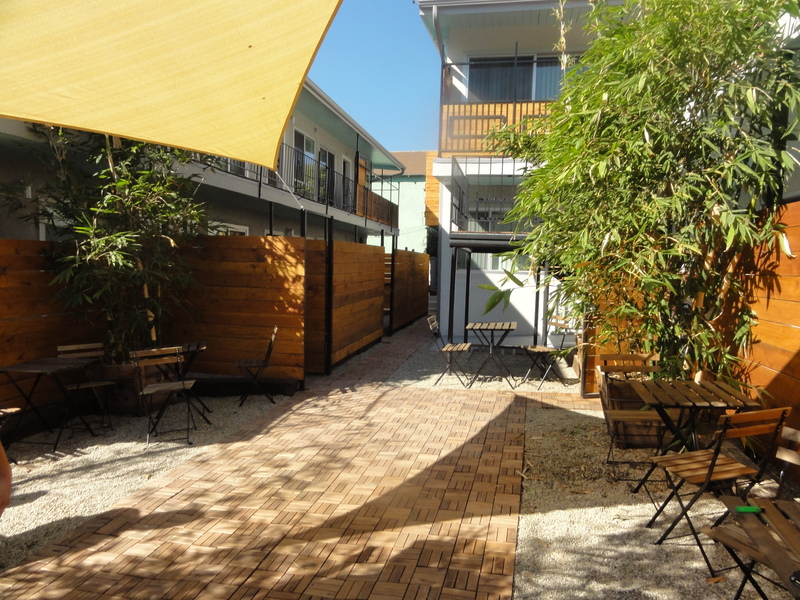 The asphalt devoid of landscape gave the impression the courtyard was meant only for cars like a 1950s motel. 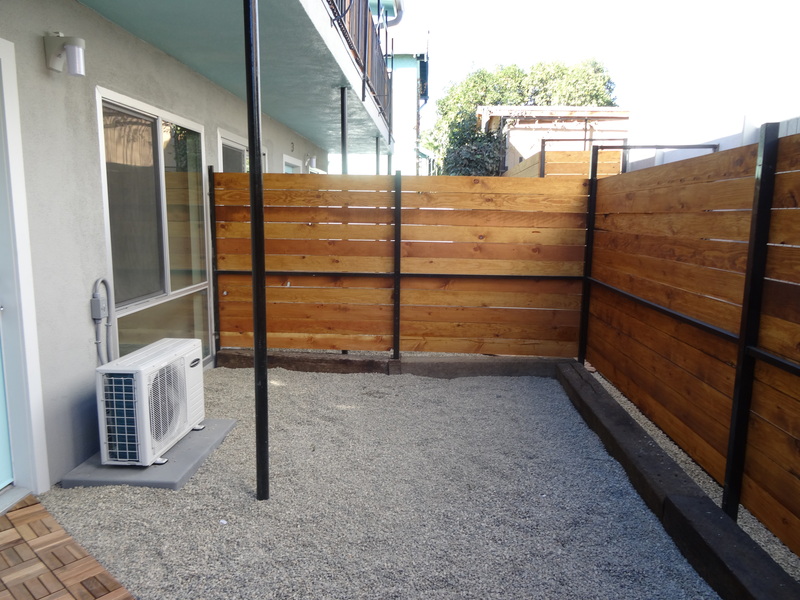 We used the excess land to create some private patios the size of small backyards. 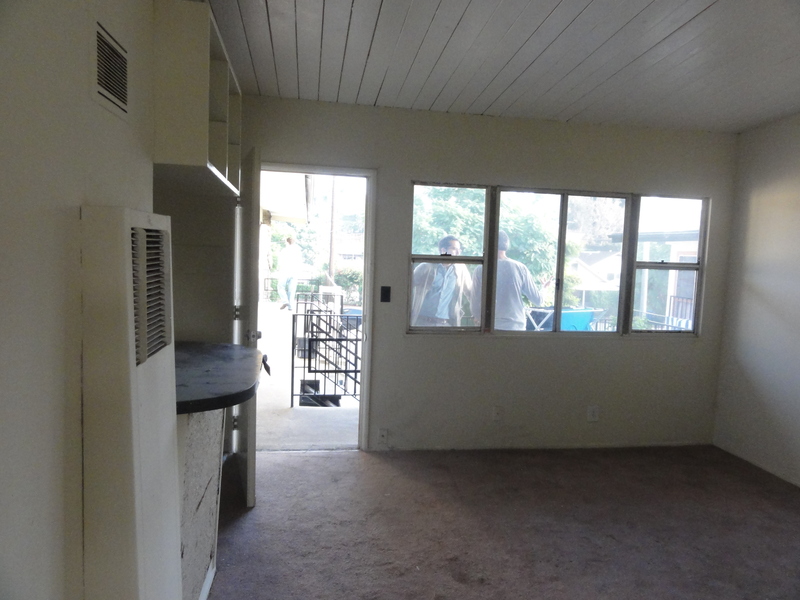 The units were typical dingbat 1960 units with popcorn ceilings, carpet, laminate counter tops, and cheap kitchen cabinets. 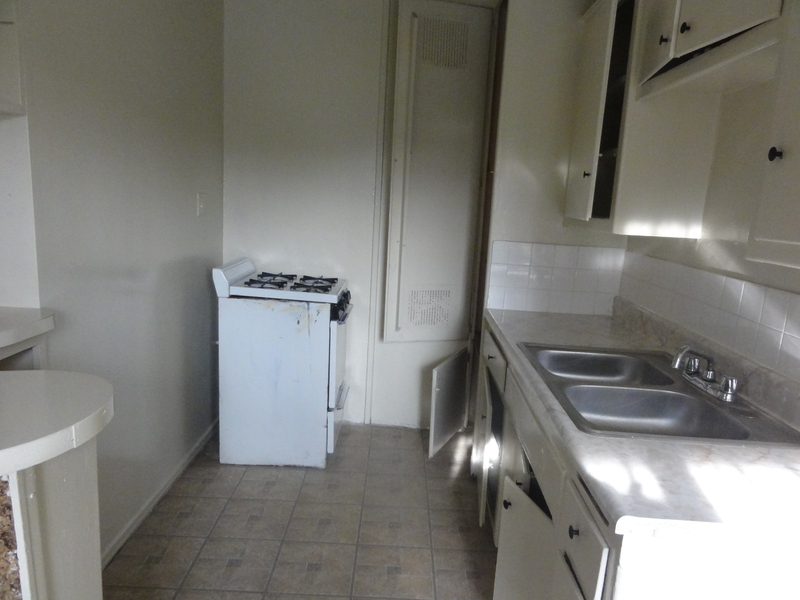 The kitchen was closed off from the living room with only a pass thru counter-top with cabinets above. 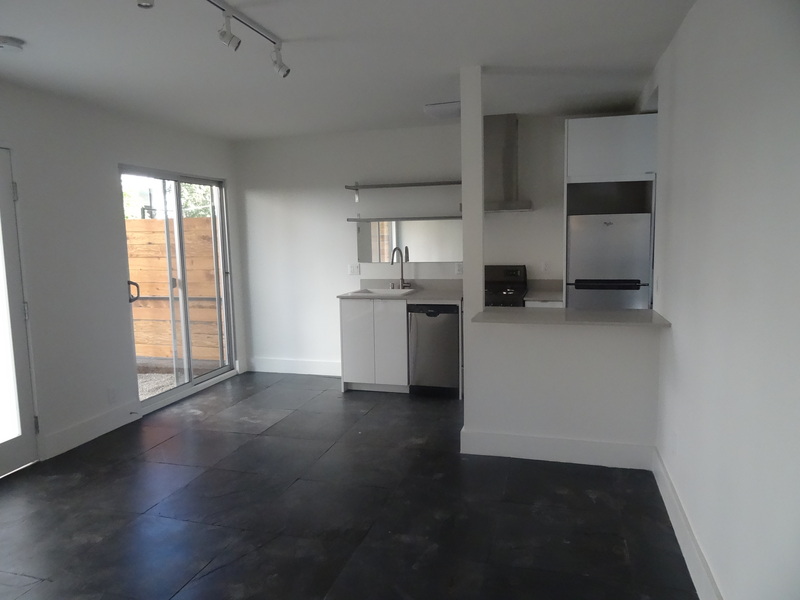 The 500 square foot one bedroom units now have quartz counter-tops, white thermafoil cabinets, designer stove hoods, eating bars and drywall ceilings. We combined the kitchen, living, and dining room into one cafe style great room. On the ground floor, large charcoal color slate floors distinguish the unit from just another typical apartment unit, while on the second floor ,sloped white wood ceilings contrasted with natural oak floors do the same cool trick. 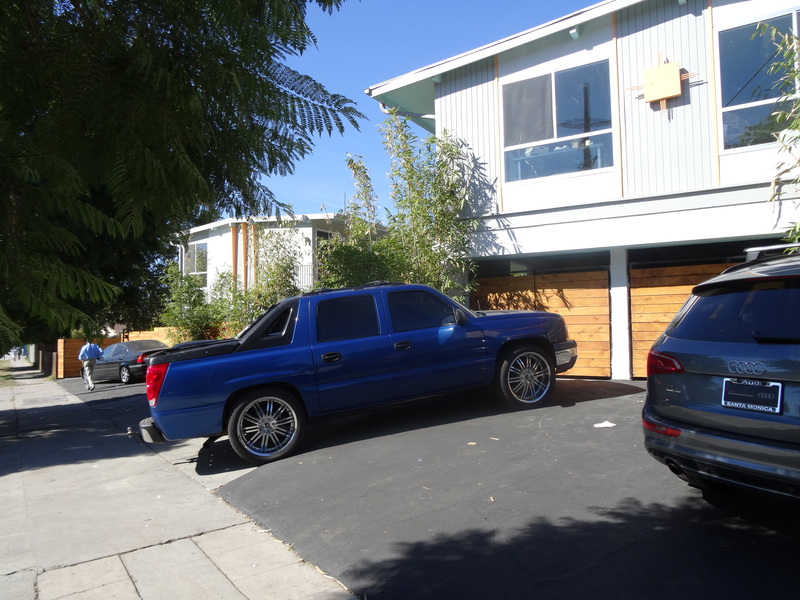 In Silver Lake, young renters of the creative class yearn for something different than the.typical apartment. 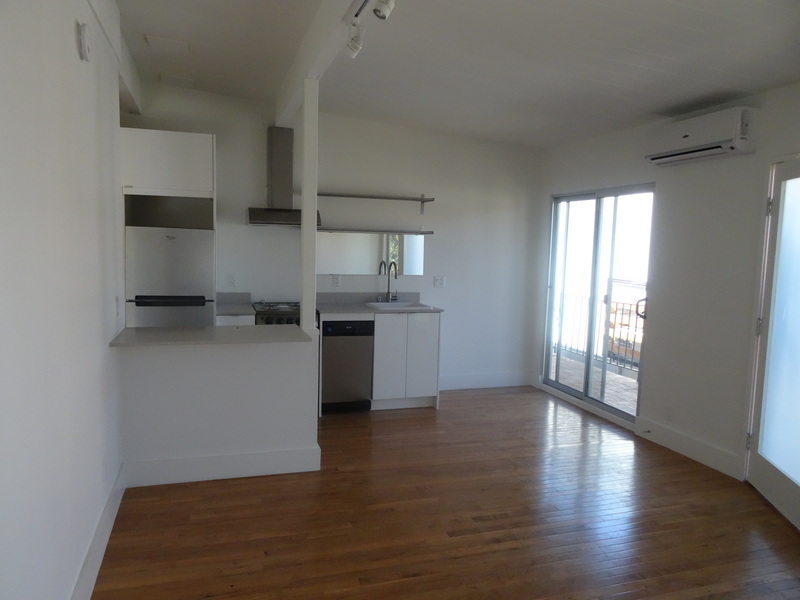 Every unit has washer dryers, mini-splits for heating and cooling, and track lighting. 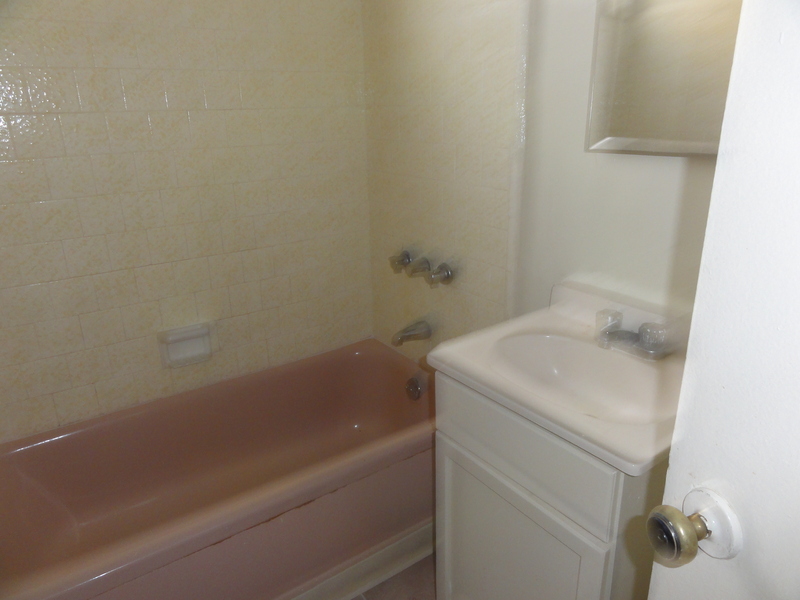 The bathrooms before renovation featured the traditional 1960 dingbat pink tub and home depot type apartment vanity. We installed subway tiles as homage to the old and new contemporary vanities to blend in the new. We even re-imagined the carports by privatizing them to allow for use either for parking or a private studio/workshop/storage. 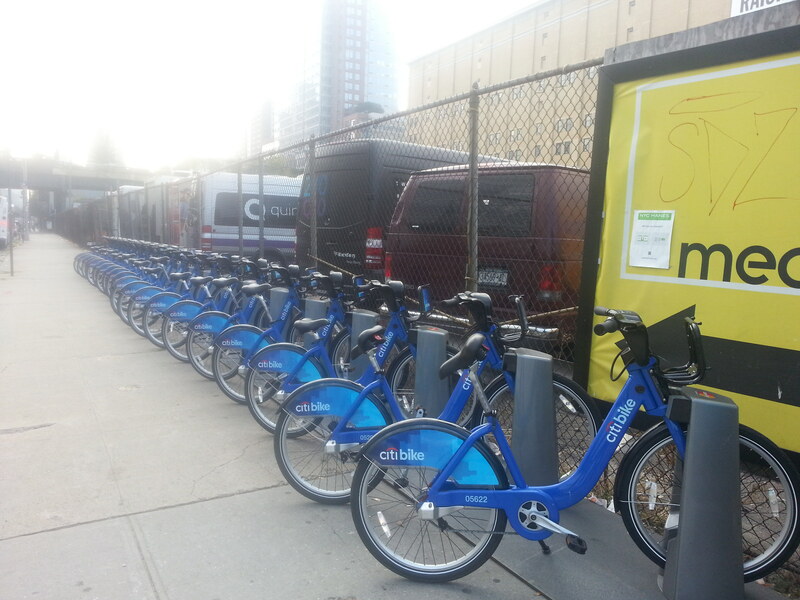 This new bike rental program is available in New York, San Francisco, and Chicago. As a member, one can take a bike from any station and return it to any other station in the City. Stations are located all over town. You pay an annual fee of approximately $99 per year and get the first 30 minutes for free and $4 per hour thereafter. You only need get the bike back to a station not to incur the overtime charge. For commuters within an easy 30 minute ride of their work, they can rent the bike at the train or subway and ride it to another bike station near work. After work, they can take the bike from the station back to a station near the train or subway. Bikes may be another way to solve the problem on how to get from the Expo line to work and vice versa. How about using a bike rack to carry a bike to work? Find free parking somewhere near work and ride the bike the rest of the way to work. 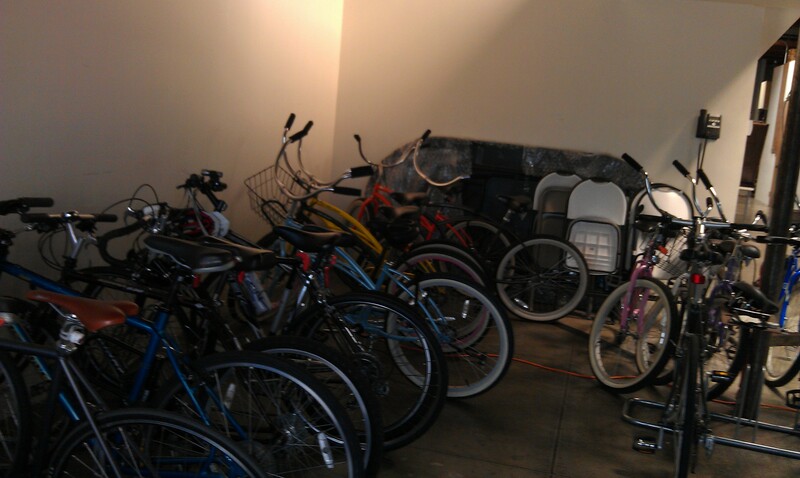 One of our tenants gives a free bike to any employee who agrees to ride a bike to work. The company provides bike parking also. 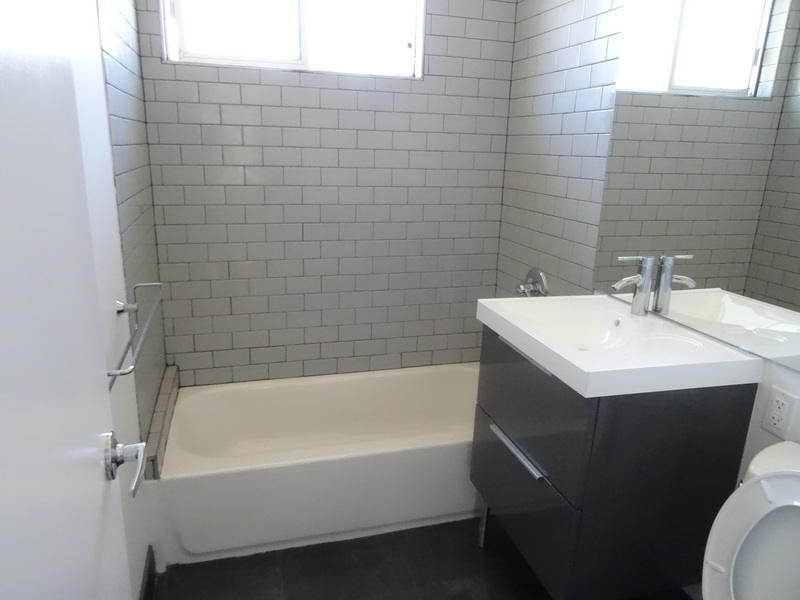 In San Francisco, it is not uncommon for tenants to demand a shower in the building to use after a bike ride. In fact, the zoning code requires that an office building provide a certain number of showers in the building depending on the buildings size. Further, the code requires bike parking spaces. In LA, we got a few of these shower requirements during the dot.com boom. After the dot com boom, the replacement tenants wanted the showers taken out. We just got our first request for a shower in a suite to accommodate bike commuters.